The United Arab Emirates (UAE) is synonymous with excess. Located on the Arabian Peninsula, the UAE is one of the wealthiest regions in world which affords it the luxury to build virtually anything it conceives. The world’s tallest building? Check. An indoor ski slope in the middle of the desert? No problem. A massive island complete with Grand Prix circuit? You bet. Now, the Middle East nation wants to build a full-size, artificial mountain that it’ll use to help create clouds and ultimately, rainfall. The colossal project is currently in the research phase. The UAE has commissioned experts from the University Corporation for Atmospheric Research (UCAR), which manages the National Center for Atmospheric Research (NCAR), to determine what type of mountain is needed, its elevation and how high the slopes should be. NCAR scientist and lead researcher Roelof Bruintjes points out that the presence of mountains force air to rise which creates clouds that scientists can then modify through a process known as cloud seeding. The desired result here would of course be to create increased amounts of rainfall. The proposed location of the artificial mountain hasn’t been finalized as experts are still testing out various sites across the UAE. Bruintjes notes that if the project is deemed too expensive (that’d be surprising given the region’s deep pockets), they’ll at least have an idea of what kind of alternatives may exist for the future. 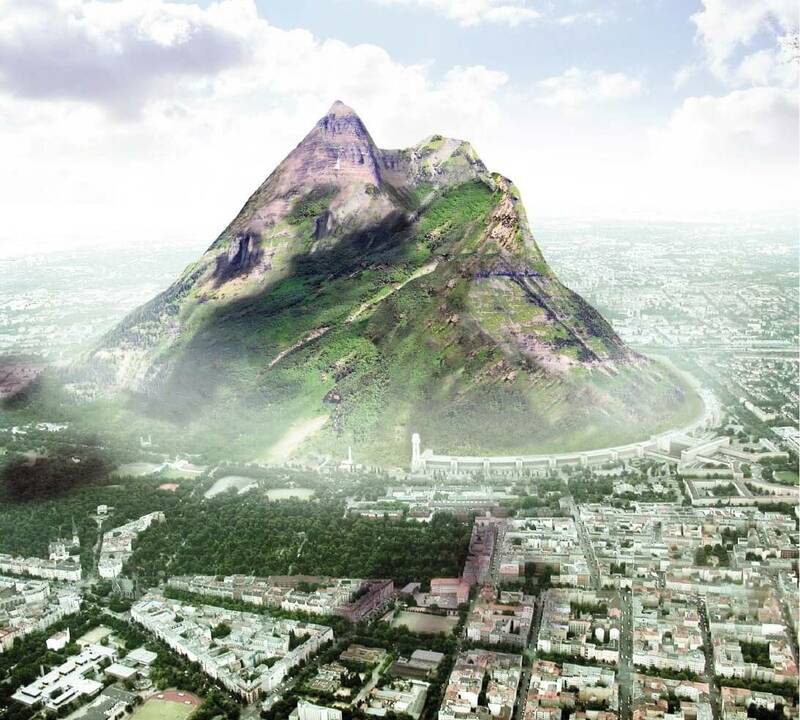 If financially feasible, the nation will then meet with an engineering firm to determine if it’s physically possible to build the artificial mountain.